Welcome to Plumber Raheny. We are here to assist you with any plumbing emergencies you may have. We provide a rapid emergency response service 24/7 – 365 days a year, just call us on 01-8674850, our team always answer the phone. When you call we promise to be with you in under an hour, day or night. All the work carried out by our Raheny plumbers is guaranteed. We are also fully insured against both public and professional liability. You will find our rates are are extremely competitive. We do not charge for call outs and there are no hidden fees. In fact we won’t ask you to pay until the work has been completed to your utmost satisfaction. If you need we provide a fast, professional and efficient range of plumbing and heating services throughout the county. Our aim is to allow our domestic and commercial customers to concentrate on their own business. We will take care of the plumbing issues and provide the solutions, maintenance and support. Your local Raheny plumber is reliable with a commitment to provide quality services that put safety and reliability first. We provide the following services. If you don’t see it on the list don’t worry you can be assured we will be able to fix the problem. • We provide a 24 hour emergency plumber Raheny call out service. • Boiler repair and new boiler installations. • Professional boiler servicing by a R.G.I. engineer. • Sink, bath, shower, bidet, tap, wet room and toilet repair and installation. • New pipes fitted repaired & modified. • Leaking pipes located repaired or replaced. • Repairs to central heating and full installations. • All gas appliance installations. • R.G.I. gas pipe installation and repairs. • Complete bathroom refurbishments including tiling and flooring & new kitchen installations. • Drain Unblocking using, jet flushing, drain rods, plumbers snakes and C.C.T.V. Inspection. • Plumbing in domestic appliances such as washing machines and dishwashers. • Oil & L.P.G. work. At plumbers Raheny always operate our business as transparently as possible. We know we provide our clients with the lowest possible price and the highest standard of plumbing services. Our open and honest approach provides up front pricing without hidden fees or charges. This has been the foundation upon which we have built our reputation over the 30 years we have been trading in Dublin. We do not charge for call outs. We are always happy to offer unbiased expert advice. 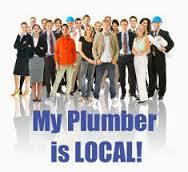 If you would like a free no obligation quote just call your local plumber in Raheny on 01-2844921.